October Creature of the Week: Parasitic Isopod. Above all other creepy, crawly, nasty creatures, this one gives us the worst nightmares. 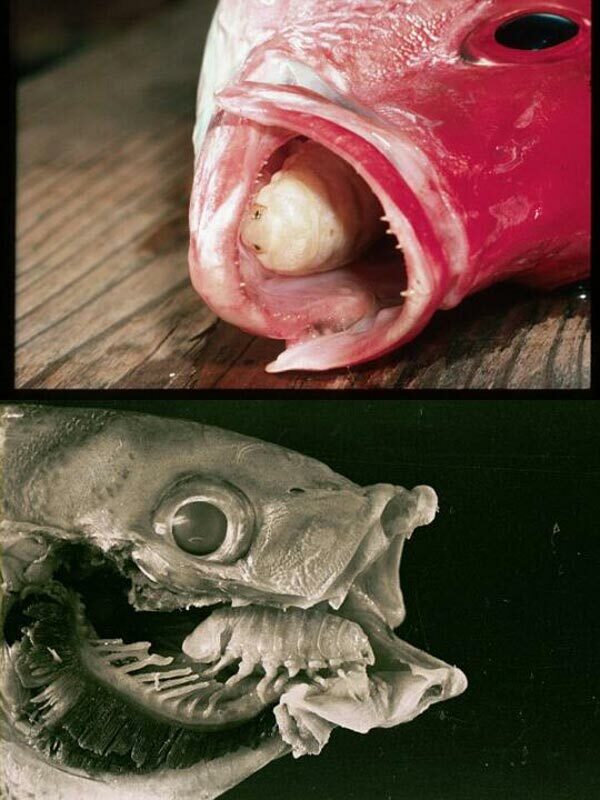 It’s a parasite that crawls inside a fish’s mouth, grabs onto the base of its tongue and starts eating. It feasts on all the bits of food the fish spills, but it also eats its host’s tongue, eventually taking its place! YUCK!